Freddy has an average or so-so ability in science. He also has average test scores that are right in the middle of other students’ scores in math and English. His basketball coach tells me that Freddy is an average player in that he is neither great nor bad at the game. What sets him apart is that he is the most average or normal student in the whole school! Quiz: Try again! If someone’s ability at doing something is average, what does that mean? He loves to do that thing, and becomes upset when he cannot do it. She is not great at doing it, but she is also not all that bad at doing it either. It means that she does not like to do it at all since it is difficult for her. If someone has an average ability, say in math, he is neither great nor bad at it but somewhere in the middle. A Very Old Age Someone whose age is very old is not average, for he has lived past the time most people usually do. The word average comes from a word that originally meant “goods damaged during shipping.” Goods or merchandise that begin in excellent condition but become damaged make them just average instead of very good, and so have less value and demand a lower price. Eventually the word average extended its meaning to cover anything of middle-level quality, neither in bad nor particularly good shape. 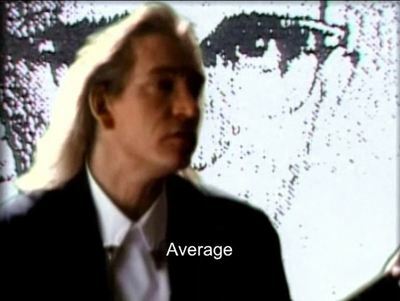 Ordinary Average Guy (Joe Walsh) Maybe his singing voice isn't so average!